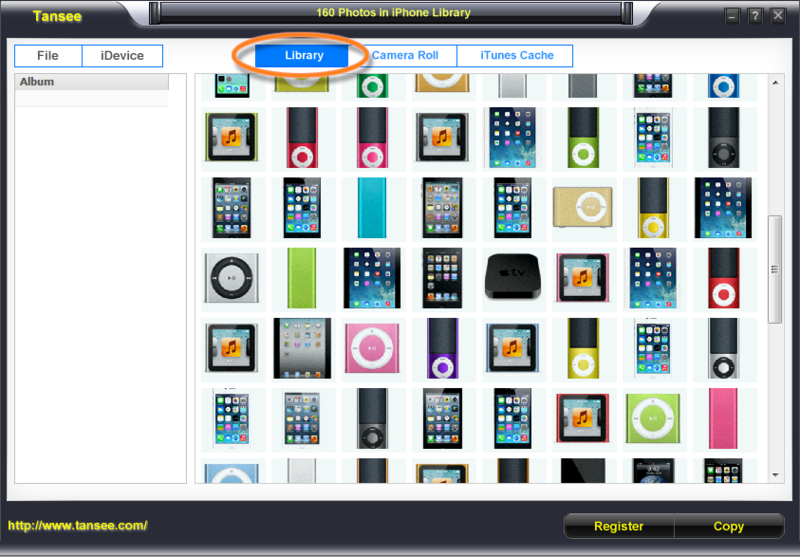 - Copy photos, camera photos, camera videos and photos from iPhone/iPad/iPod to Windows computer. 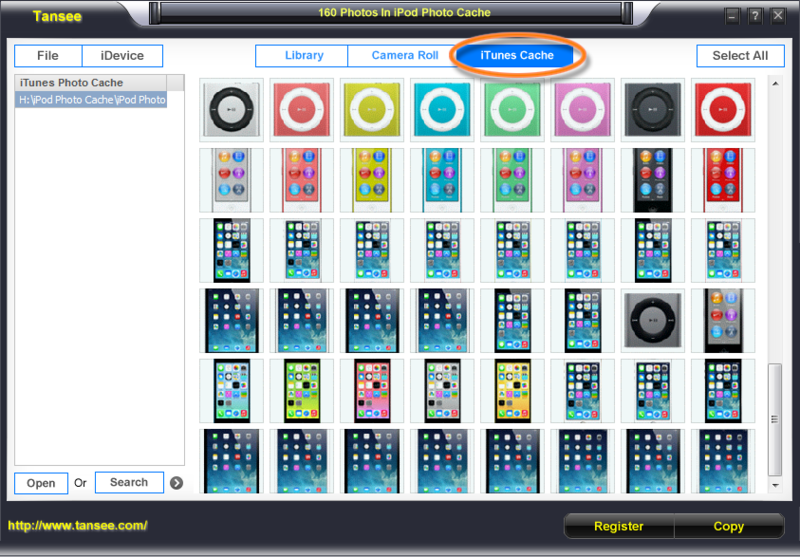 - Retrieve Deleted Photos (Retrieve Photos in iPod Photo Cache) New! Note: Copy Muisc/Purchased video and Synced video from iPhone/iPad/iPod to PC, please install Tansee iOS Music&video Transfer. 4,Easy to use: Tansee iOS Photo&camera transfer is simple to install and easy to operate. 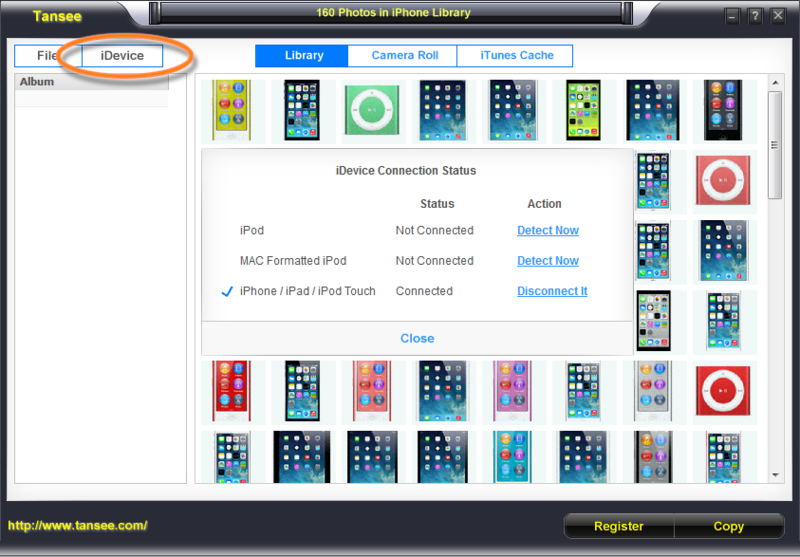 Auto-scanning: Auto-scans your iPhone/iPad/iPod device, and auto-indexes. Backup to any folder: You can easily and quickly back up your photos & camera videos from your iPhone/iPad/iPod to any folder on your PC. 5,With secure Tansee online store, you can process your order safely. Tansee iOS Photo&Video Transfer step by step user guide available. Just follow the steps, easy copy all your iPhone photos & Camera videos to computer. Try and get the full version now for just $29.95!